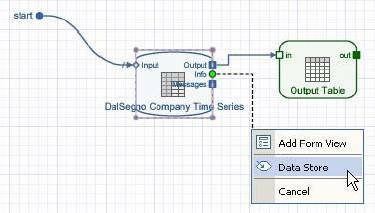 From the "Info" port of your BI Query Data service, drag and drop out a "Data Store" object. 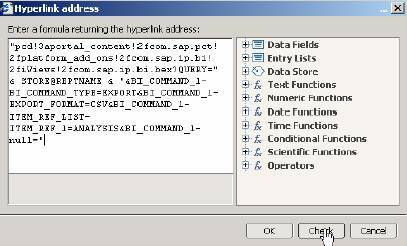 Add the field "REPTNAME" to the Data Store Object. Map the field "REPTNAME" from the info port to the data store. 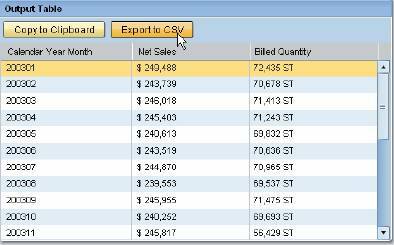 Double click on the Output Table and choose "Edit" on the toolbar. 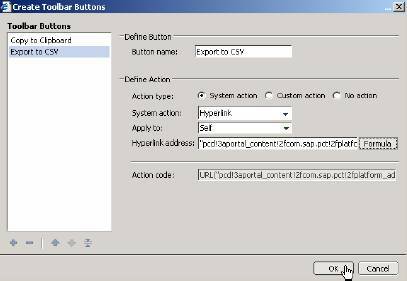 Specify this button as "Export to CSV", System Action=Hyperlink, and then click on Formula. NOTE: This URL is for the Web Analyzer PCD Location if Visual Composer is on the same server as BI-Java. 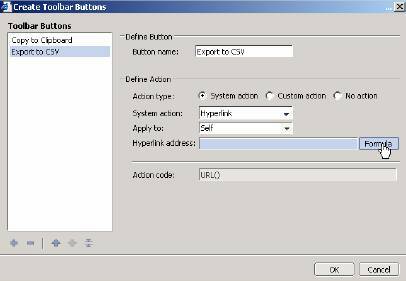 If it is not, see the section on Mapping External BI locations. 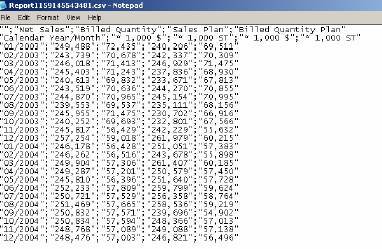 NOTE: This will export the default view of the data service to a CSV. It will not keep filters or navigation states. Run your iView and choose "Export to CSV". Look at your exported CSV file.